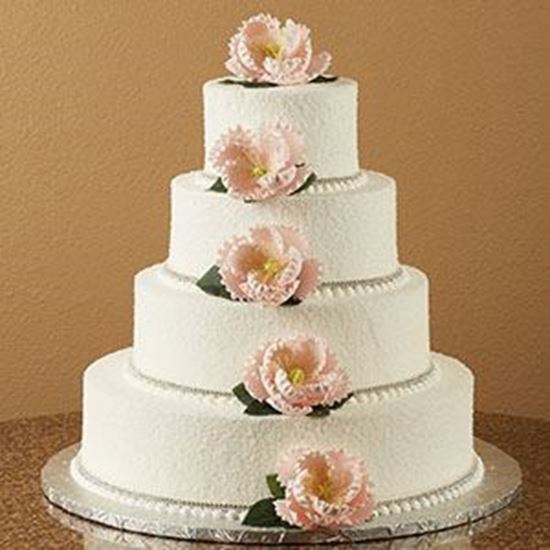 4 Tier Wedding cake with 6", 9", 12" & 16" round tiers. Made with buttercream. Includes in-stock gumpaste flowers.